As a candy collector people often ask me what that means, exactly? Do I collect the physical candy as well as the packages? 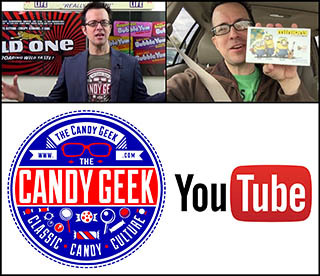 Do I collect all candy-related ephemera? My answer is that I mainly focus on actual candy packaging – that being the wrappers and the boxes. 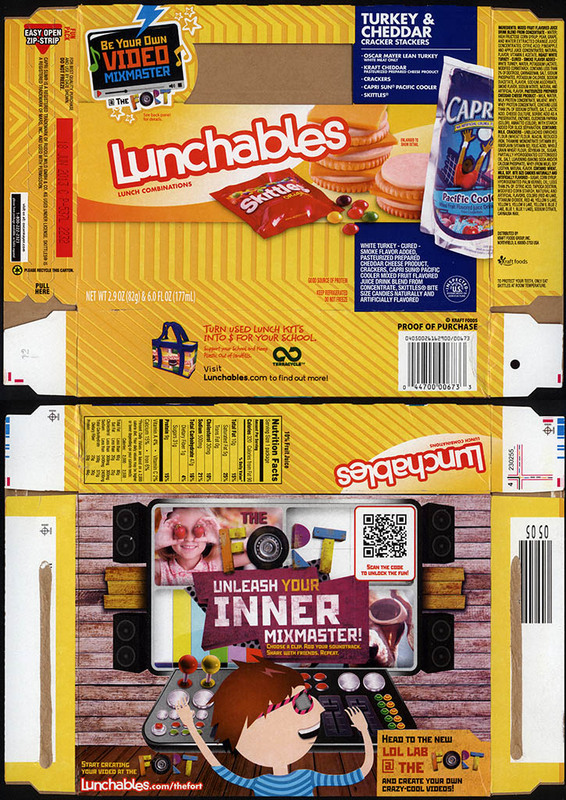 But I do like certain kinds of food tie-ins like cereal boxes that contain candy and while at the grocery store recently I came across these neat Lunchables that each contain a fun-size offering of branded sweets. They struck me as fun and unusual, so they made the cut. Produced by Kraft Foods, it’s interesting to note that the candy offerings contained within these are each produced by Hershey, Mars, and Nestle respectively – none of which are Kraft subsidiaries. Ironically Kraft does own Cadbury, which is not represented here. 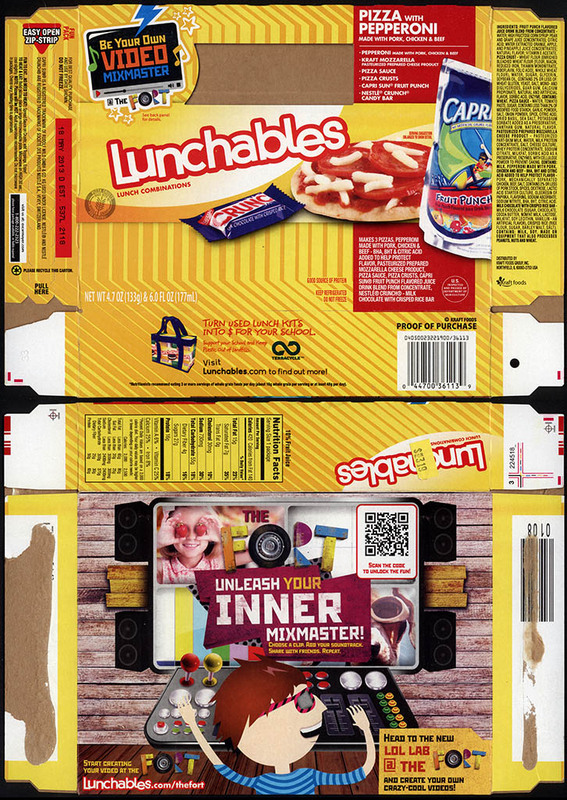 These four Lunchables assortments with candy are the only ones that I could find, so for now I’m assuming that this is the full range that they offer. That’s all four of ’em. And that’s everything for today’s entry. If anyone ever sees an oddball candy tie-in that you think I might like, snap a photo and drop me a line – I’d love to see and hear about it. This entry was posted in Chocolate, Hershey, Nestle, Wonka and tagged candy collecting, candy collection, candy collector, candy wrapper collection, candy wrapper collector, collectible, collecting candy, confectionery, confections, food packaging, packaging, sweets, vintage candy wrapper, wrapper. Bookmark the permalink. 3 Responses to Lunchables with Candy! 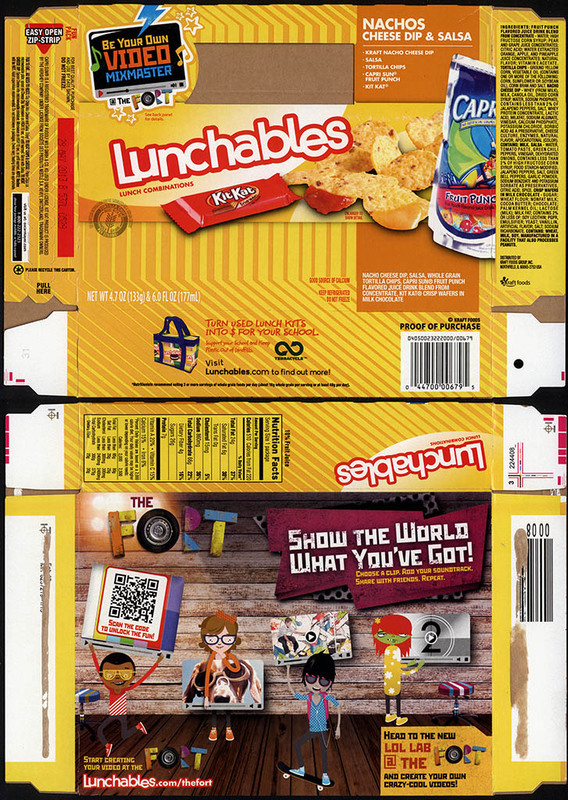 They also come with butterfinger, peanut butter cups, airheads and hershey kisses(These come in the silver lunchables and are a bit hard to see on the front of the box.). 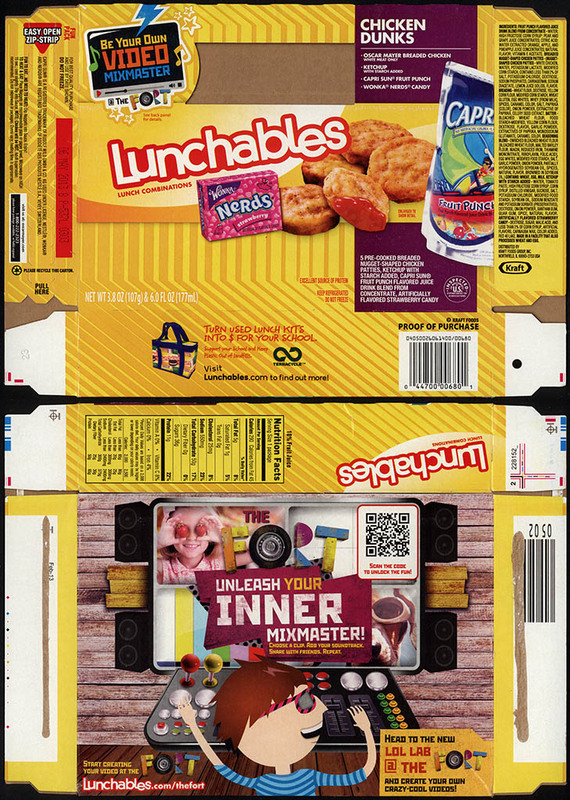 I’ve also seen these Lunchables boxes with Reese’s, Butterfinger and Airheads.